The word, ?still,? like life itself, is pregnant with possibility. On one end of the spectrum, it is the ultimate stillness of death; on the other, it is generational: still, life continues. The word ?still? became for the author a synonym for the journey, with all of us riding in separate boats while traveling through the same body of water. In these poems we can acknowledge hard truths, the struggle that comes with change, knowing we are not alone. We can find solace and joy in nature, see how art and music can move us beyond ourselves, and be comforted by how we are all inextricably entwined. Along with disappointments, loss, and the unexpected, there is still love and abundance, choice, and room for praise. Trigger Warning: Poetry Saved My Life anthology edited by Zachary Kluckman, "Why Poetry Matters" essay on page 94 (PDF). 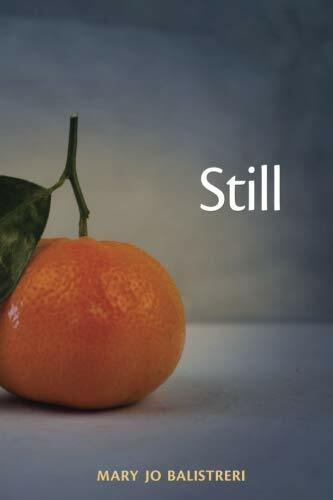 "In Balistreri's skillful hands, 'something shifts' without us knowing how or when, and tragedy not only takes on "a livable shape," but becomes larger, more mysterious and more beautiful than itself, as sudden and transcendent as a song." "Mary Jo Balistreri's Best Brothers: an unflinching and brave love letter written from the American/Door County heartland, a balance of grief and hope, a collection full of joy and heartbreak for anyone who has ever been a grandparent, cherished a child or lost a child. 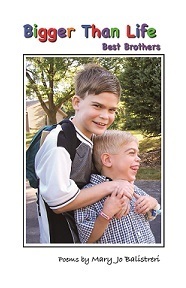 These boys, Sam and Zach, shine brightly in the affectionate and powerful poems written by their grandmother." All proceeds will go to the United Mitochondrial Disease Foundation. Order by contacting Jo directly. Ed Bennett has reviewed Mary Jo Balistreri's Gathering the Harvest. The review can be read in its entirety here! Tiger's Eye Press has also reviewed Gathering the Harvest! Check out that review here! Verse Wisconsin has another review here. 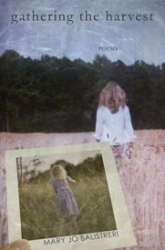 Readings and videos of Mary Jo's poems can be found via The Poetry Storehouse. All proceeds from the sale of this book go to mitochondrial disease research and/or to families whose children have mitochondrial disease, to help defray their treatment expenses. Order by contacting Jo directly.